Post Cereal is offering a $2 Off Post Natural Advantage Cereals Printable Coupon when you sign-up for their newsletter HERE. Thanks for sharing, Clippin’ with Carie! Passion For Savings found a couple money-making scenarios that you may want to check out. 1) Kmart has the Glade 2 oz. Candles for 2/$5. Use the $3/2 Glade Printable Coupon . You’ll then get a coupon at checkout good for $3 Off Your Next Order! If you haven’t submitted for the SC Johnson Rebate HERE, you can do so and get back another $5 if you do the above deal twice. 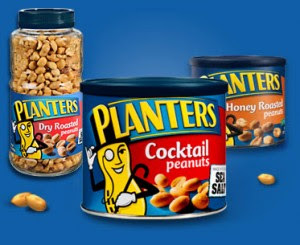 2) Heather has a posting HERE on how you can also get a money-maker on Planters Peanuts at Walgreens.